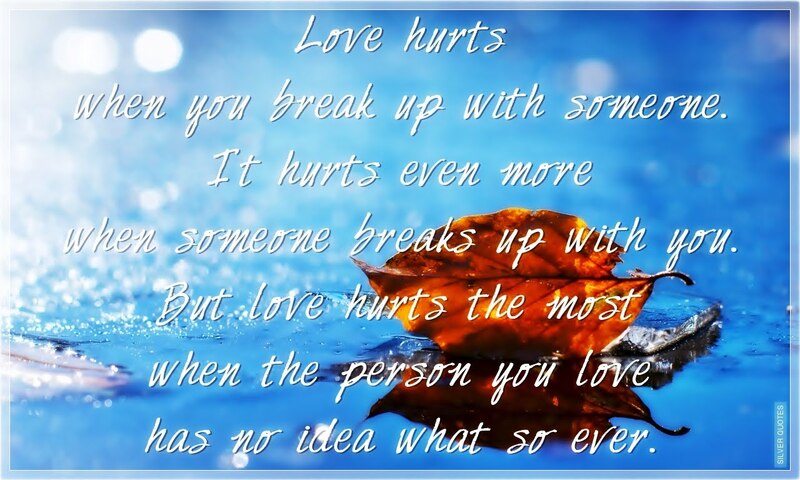 Love hurts when you break up with someone. It hurts even more when someone breaks up with you. But love hurts the most when the person you love has no idea what so ever.